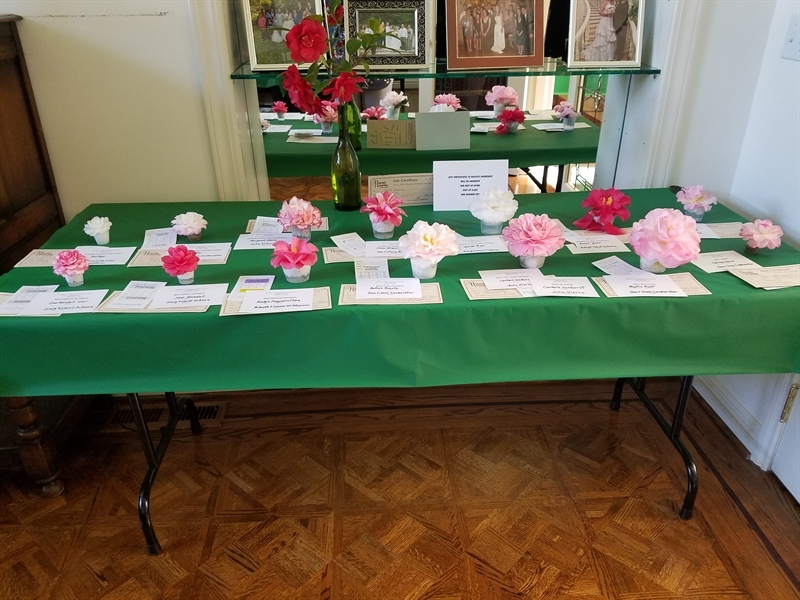 Northern California Camellia Society meets from November to May at 2 p.m. on the 1st Sunday of the month. December and May are luncheon meetings at a restaurant. 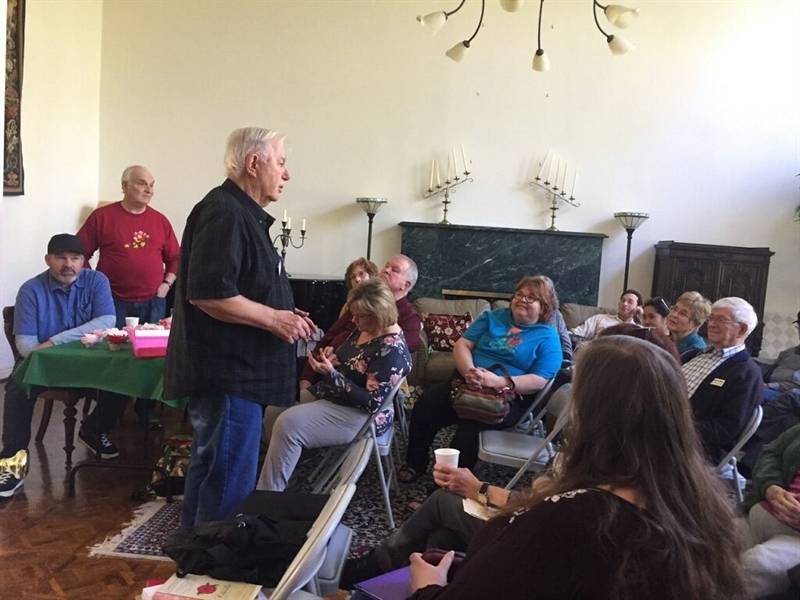 We meet at Saint Andrew's Celebration Center in the Oak Room. 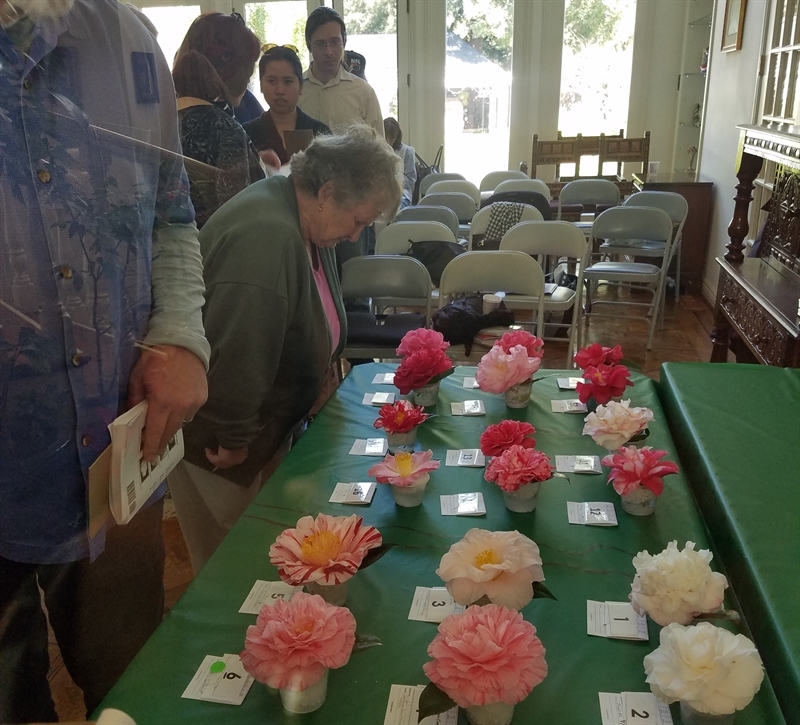 We gather together to celebrate the beauty of the Winter Queen (Camellia). Exciting Speaker Series, Great Growing Tips, and Chances to wIn great prizes. 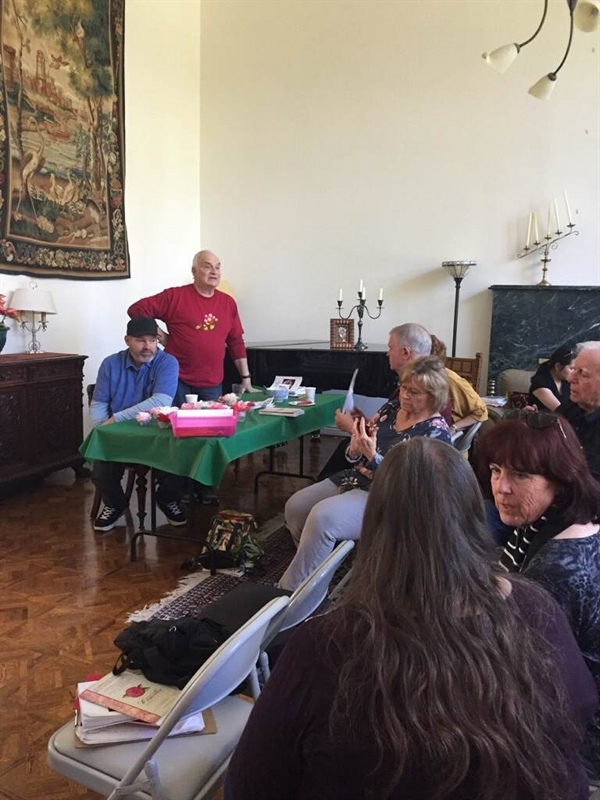 Our meetings are held at St. Andrew's Celebration Center, 1601 Mary Road, Pleasant Hill, CA, 94523. Four head table judges, Pete Warner, Don Lesmeister, Don Bergamini, and Cindy Cook. 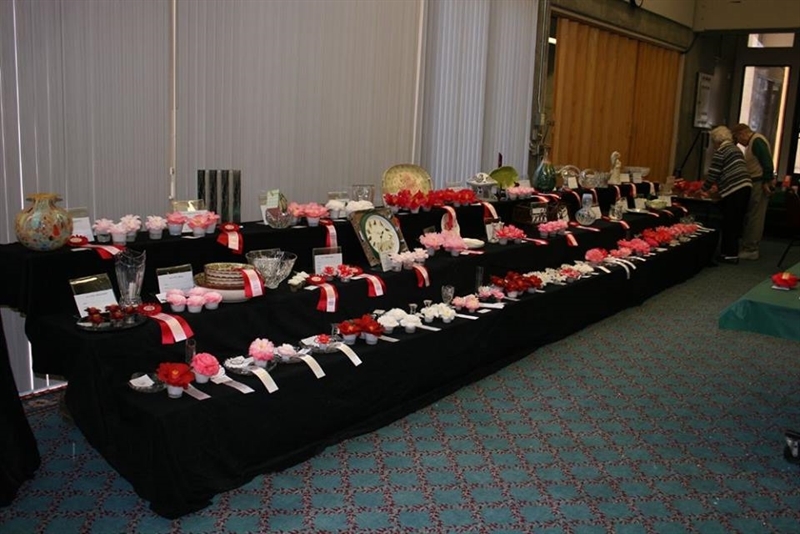 Best of Show winners, Carol and Gary Schanz. 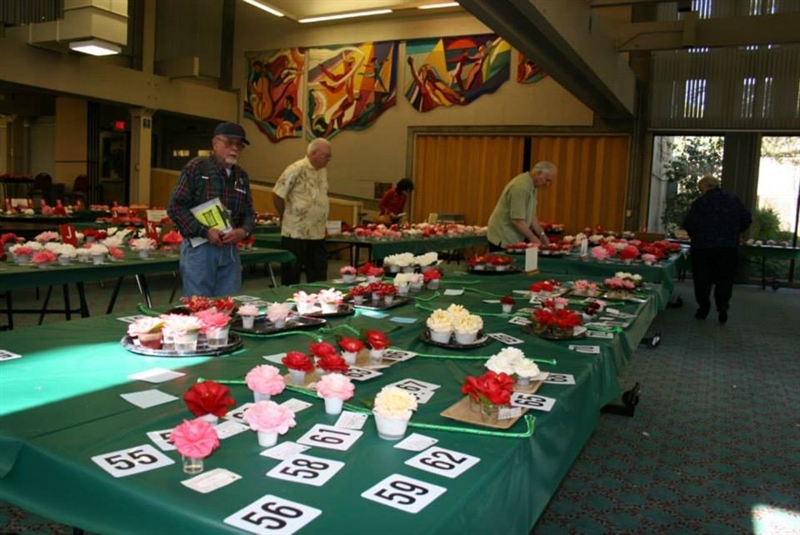 Bill Allman and Carol Schanz are judging the blooms. Don Bergamini going over new rules. Don Lesmeister going over judging rules before casting votes. 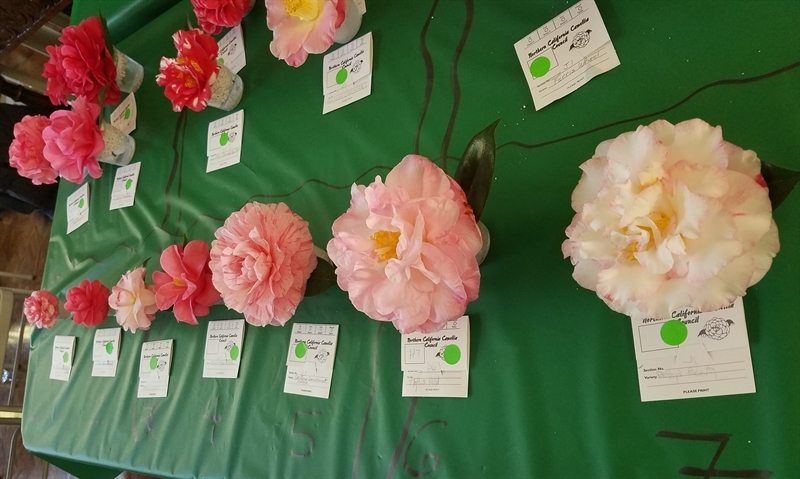 Voting for best bloom in show.